Published: Dec. 1, 2013 at 07:02 p.m. 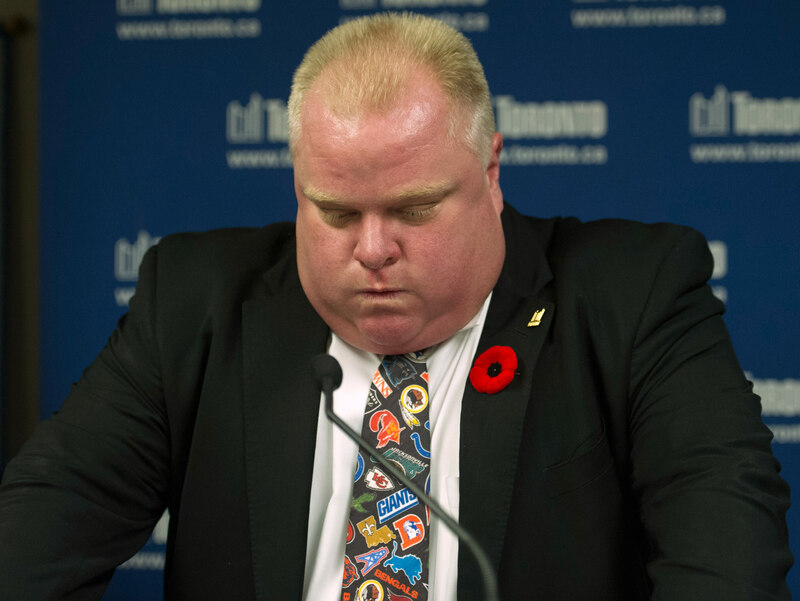 Updated: Dec. 3, 2013 at 04:27 a.m.
Toronto mayor Rob Ford forever won Around The League's heart when he wore an outrageously dated NFL novelty tie to the news conference in which he formally admitted to smoking crack. Naturally, it was our sincere hope Ford would somehow be involved in the proceedings when the Buffalo Bills played their annual Toronto home game Sunday -- a 34-31 loss to the Atlanta Falcons. He didn't disappoint. 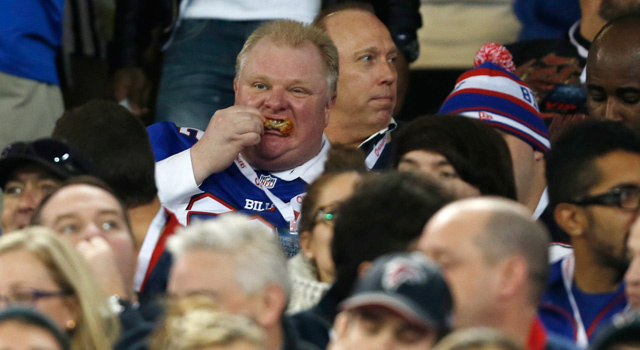 Ford -- who, again, holds the highest municipal office in the fourth-largest city in North America -- was spotted by an Associated Press photographer at Rogers Centre wearing a Fred Jackson replica jersey while laying waste to a serving of chicken wings. Of course, this is Toronto's Crack Smoking Mayor we're talking about. Doug Marrone might not expect anything in this situation, but we know better. Shenanigans are always afoot. Rob Ford is sitting in my seat at the Bills game. He stole my seat. I don't know what to do. I'm by myself. I gotta kick him out right? I mean I would kick anyone else out... Am I wrong? The mayor stole my f@#%ing seat man!! Matt eventually got his seat back. He should be honored it was kept warm by greatness.